Verdite Resources offers Wellsite Geology Consultants to clients in Calgary, Alberta. Our Consultants have wellsite experience in Western Canadian Sedimentary Basin (WCSB) drilling vertical, horizontal and directional wells. We have focused on creating a team of senior and junior wellsite geologists that bring-in experience and energy to the wellsite. Our vision is to target fewer clients and focus on quality, rather than quantity. Attention to detail and strong communication is what really makes us different from the competition. Doesn’t work! If you are a Geologist, then you know exactly what we mean. Therefore, while drilling your well, our consultants constantly keep Geologic Setting and Environment of Deposition into consideration. In addition, we use one-of-a-kind technology to geosteer the bit into the best zone possible. We study your play, pullout nearby wells and do quite-a-bit geology homework before our consultants represent your Geology Department at the location. As proud Geologists, our consultants take rocks very seriously and what makes us unique is that our Geological Consultants may pull out cores and sample vials from AER-CRC to make sure they understand what you are trying to drill. While drilling, we use your preferred Stiplog or Powerlog Software to prepare striplogs for you. 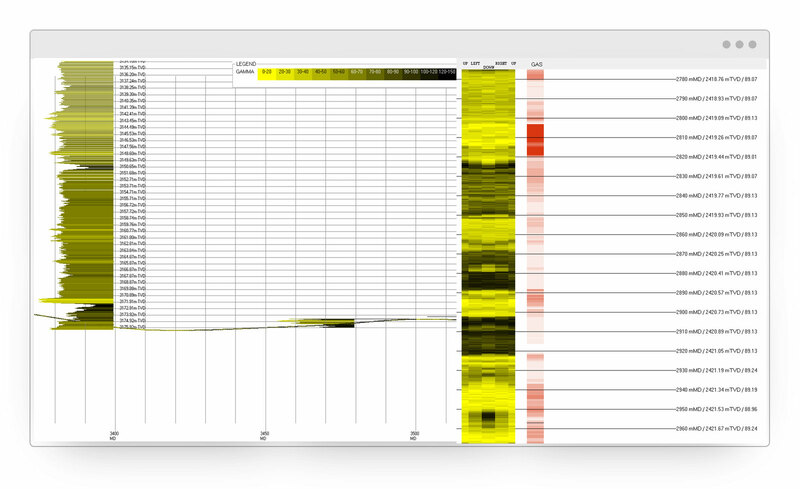 In Addition to the standard software used in Wellsite Geology, we have created some one-of-a-kind tools to help make excellent drilling suggestions and speed-up decision making for you. Therefore, you can spend your time focusing on what matters the most, geology. We realized that there were not enough tools present out-in-the-field, for the Wellsite Geologists and that is why we ended-up creating multiple software tools. These tools utilize live drilling data to help wellsite and in-town Geologists visualize the Structural Geology and accurately predict formation top and formation dip, while drilling horizontally. Our Gamma Converter Utility, is an excellent tool to convert Horizontal Gamma readings to a Vertical Gamma profile while drilling horizontally. As a result, we are able to identify problems ahead of time and present appropriate recommendations to your Geologist. These tools give us a leading-edge when it comes to decision making and saving-time at the Wellsite and they constantly prove to be a significant asset and give us advantage over our competitors.